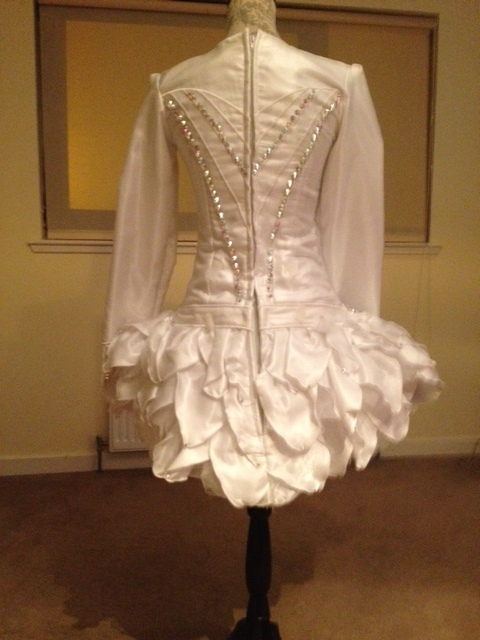 A unique and truly stunning white satin Doire Dress Design dress worn 3 times. Dancer who wore dress is 5ft 6″. 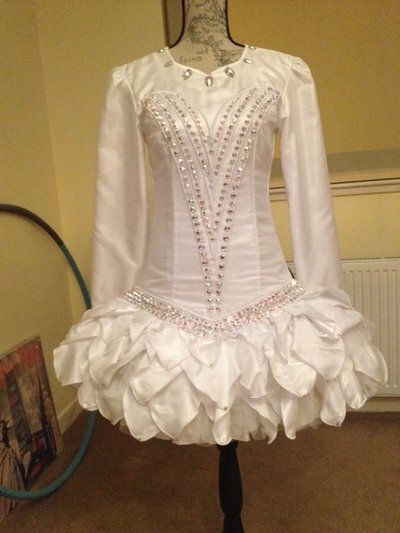 The dress is covered in Swarovski crystals and glimmers on stage. Sensational skirt is made up of layers of petal shaped satin with net & satin underneath. Detachable ryal blue bow and royal blue lining under skirt . 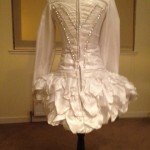 The dress is in immaculate condition & never been adjusted. The dress comes with selection of hairbands. Kick pants and extra crystals included.